Absolute Control allows for all Coulisse window covering systems up to 5 meters high to be conveniently automated. All motors are programmed with a single remote control unit and can be operated separately or as a group. The range includes electronic and mechanical motors. For automated roller blinds our product range offers tube motors in various diameters that are available in either electronic or mechanical designs. The quiet motors can easily be programmed and remote-controlled with Absolute Control. Download the technical catalog of this system here. 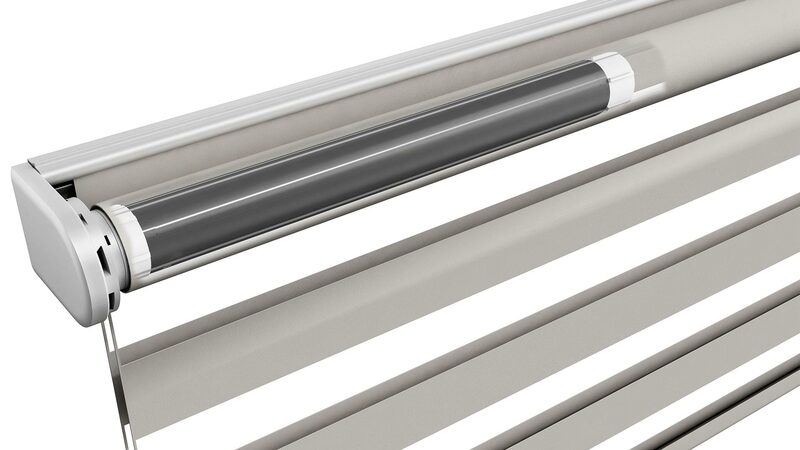 Our quiet tubular motors allow for easy automation of double roller blinds. The tube motors are available in various diameters and are available in either electronic or mechanical versions. The quiet motors can easily be programmed and remote-controlled with Absolute Control. Download the technical catalog of this system here. 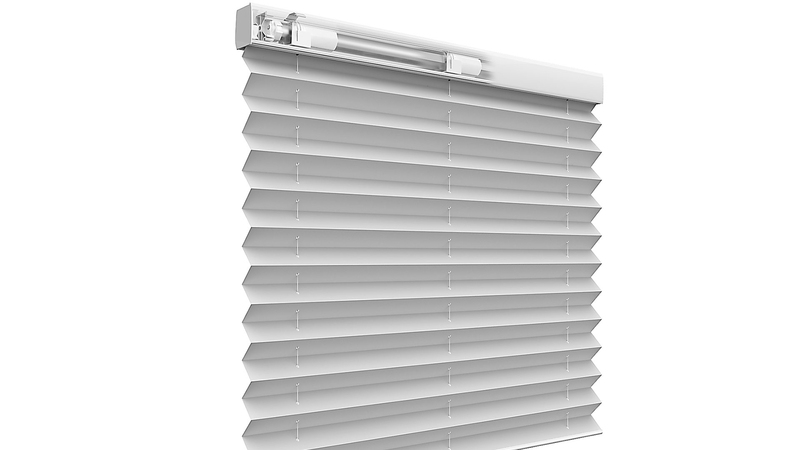 Our motor for panel blinds is unique in the market. 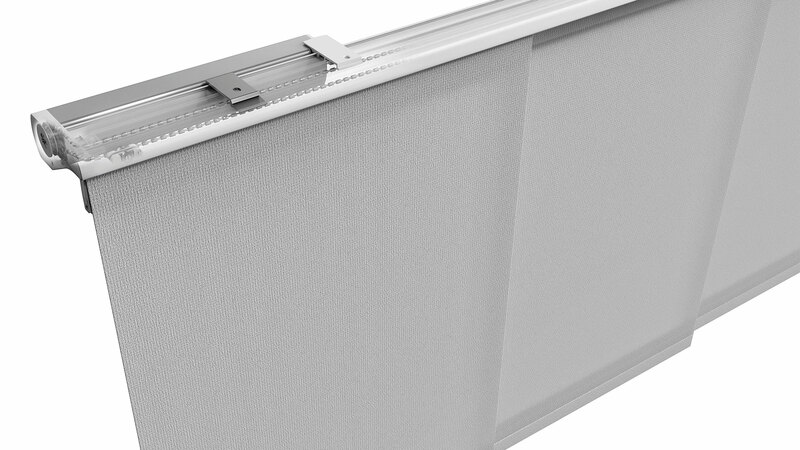 The compact, quiet motor was especially developed for our Absolute panel blind system and fits seamlessly into the rails. The motor runs on batteries or electricity and is easy to install. The built-in speed control allows for controlled operation of the panels. Because of the intelligent software the motor is self-learning. Download the technical catalog of this system here. Our unique vertical motor was especially developed for our Absolute system. The compact motor fits seamlessly into the rail and is easy to install, program and use. Because of the intelligent software the motor is self-learning. Slats turn completely left and right. The motor features speed control and runs on batteries or an adapter. Download the technical catalog of this system here. 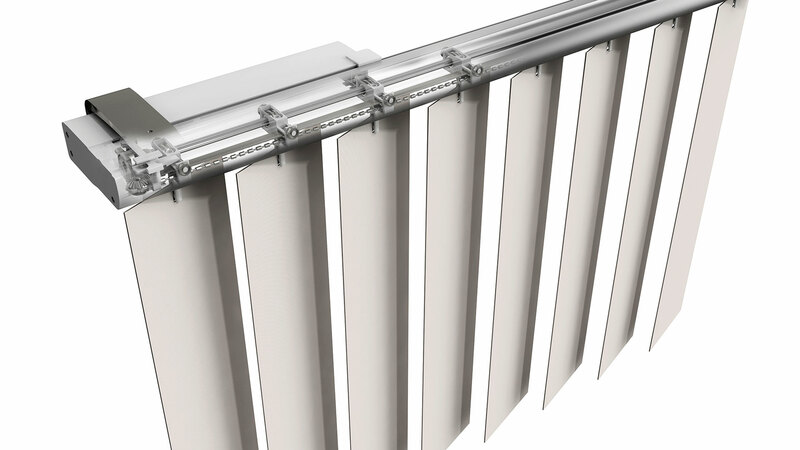 The tilt-only motor for horizontal blinds allows for automated tilt functions for smaller systems. The motor is compact, entirely wireless and runs on batteries. The middle motor is suitable for automated operation of the tilt function for 35-50 mm blinds. The motor can easily be clicked into the rail and runs either on electricity or entirely wirelessly, using batteries. 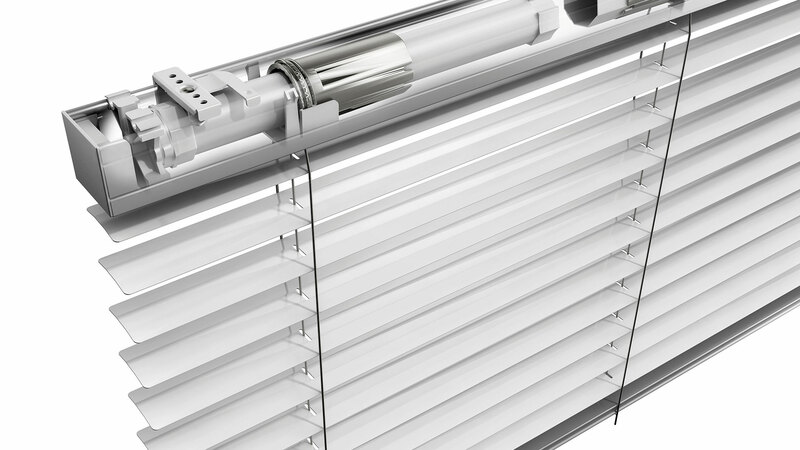 The Coulisse tube motor allows for horizontal blinds of considerable dimensions to be automated. Both tilt and pull-up functions are remote-controlled. Download the technical catalog of this system here. 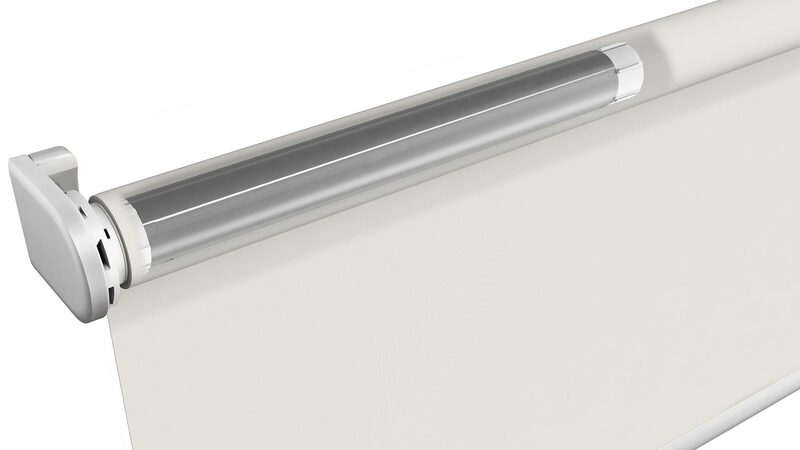 The quiet tube motors in our product range even allow for pleated blinds of considerable dimensions to be automated. The motors are available in various diameters and come in either electronic or mechanical versions. The quiet motors can easily be programmed and remote-controlled with Absolute Control. Download the technical catalog of this system here. 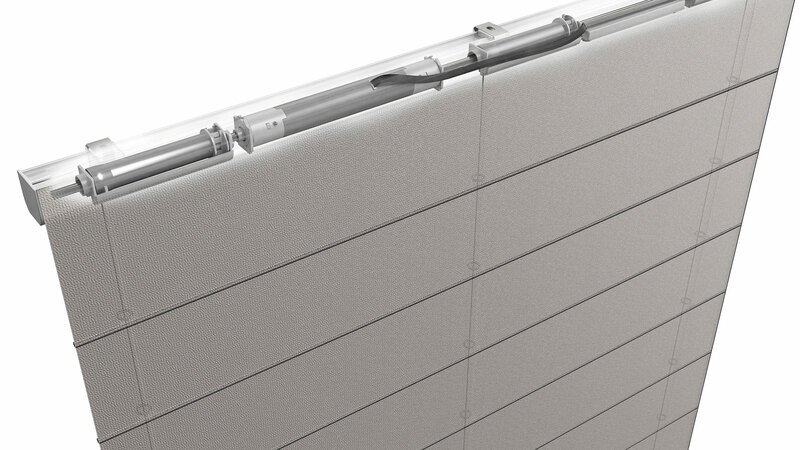 The middle motor for roman blinds was especially developed for our Absolute roman blinds system. The motor has been fully integrated into the rail, rendering extra parts such as stoppers or receivers unnecessary. The motor is easy to install, program and operate. Download the technical catalog of this system here. 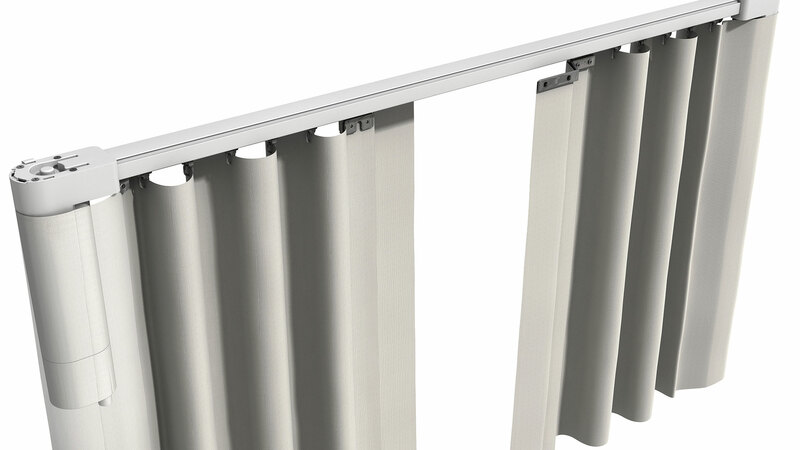 The Coulisse curtain motor is part of Absolute Control, the innovative automation system for Coulisse blinds. This allows for curtains and blind to be operated and programmed through one and the same system. The motor is compact and easy to install, program and operate. Download the technical catalog of this system here.